David is originally from Cambridgeshire, and graduated with a First Class degree in Chemistry from Oxford in 2015. 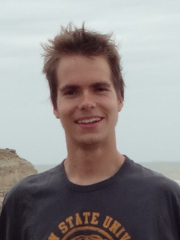 David was an undergraduate at Merton College and completed his Part II project in the Gouverneur group, synthesising a novel PET tracer. David has a diverse interest in organic chemistry, particularly with an application to medicine. In his free time, David enjoys gliding and photography, as well as walking and cycling in the countryside. 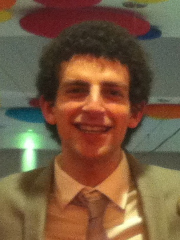 Tudor is the recipient of the Lady Margaret Hall-SBM CDT Graduate Scholarship 2015. He graduated with a BA and MSci from the University of Cambridge, in the summer of 2015. For his final year, Tudor worked under the guidance of Prof. Ian Paterson, focusing on the total synthesis of Patellazole B. His current academic interests lie in the development of cascade reactions, asymmetric catalysis and total synthesis. When not working, Tudor enjoys cooking, playing snooker and reading. Originally from Nantes (France), Alexandre completed his undergraduate Masters at the University of Pierre et Marie Curie and Chimie Paristech. He conducted five months of research at F. Hoffmann-La Roche in Switzerland working on drug development, and then completed his Master’s dissertation on a new synthetic method of alpha-trifluoromethylamino acid, under the supervision of Professor Cossy. He is looking forward to working towards his DPhil at the CDT in areas such as total synthesis, new synthetic methods and more. 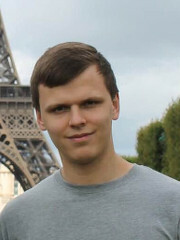 Alexandre is interested in the understanding and manipulation of living processes, thanks to synthetic organic chemistry, and also in business and innovations in healthcare. He is planning on working in the pharmaceutical industry in his future career. Apart from chemistry Alexandre enjoys swimming, reading and hiking. 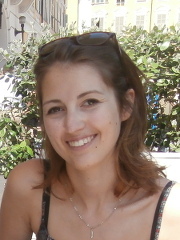 Anna is originally from Southampton and has recently graduated from the University of Bristol with an MSci in Chemistry. During her undergraduate degree she spent her placement year at Pfizer, working on late stage drug development and a new method for the synthesis of pharmaceutically relevant chiral amines. Her final year project was carried out under the supervision of Dr John Bower and involved investigation into the synthesis of pyrrolidines via a novel, copper catalysed C H amination route. In her spare time, Anna enjoys walking, climbing and playing lacrosse. She also has a keen interest in music and plays the flute. Originally from Southern France, Pablo completed his Master’s degree at the Graduate School of Chemistry of Montpellier. 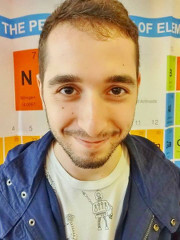 Pablo had the opportunity to perform internships in asymmetric synthesis at Oxford University, and more recently in Grasse in a fragrance organic chemistry research lab. Both of these subjects were extremely interesting, and he hopes his DPhil will allow him to further his interest in (asymmetric) total synthesis and methodology, but the choice between the academic and the industrial world will be hard. Outside of chemistry, Pablo enjoys playing piano or cello, and is also interested in sports, movies and books. Originally from a village in North Lincolnshire, Sean completed his MSci degree at Trinity College, Cambridge. 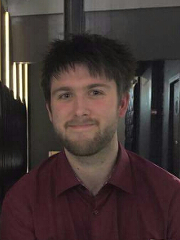 Sean’s final year project was under the supervision of Professor Matthew Gaunt, investigating new motifs for directed, catalytic C–H activation. 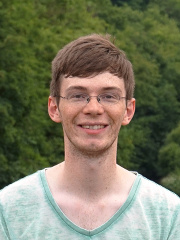 In coming to the CDT at Oxford, Sean hopes to further his interests in organic synthesis, particularly concerning natural products. Outside of chemistry, he enjoys badminton and playing classical guitar, but can often be found walking or cycling in the countryside. 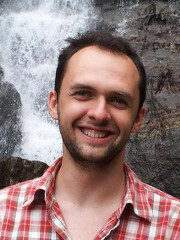 Originally from the Black Country, Reece studied Chemistry at the University of Liverpool, completing his MChem project under the guidance of Dr Christophe Aïssa investigating the reactivity of 3,4-pyridynes. 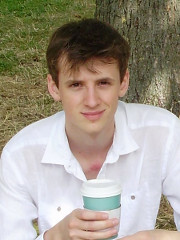 During his studies, Reece also spent a year at GlaxoSmithKline, Stevenage, working in the Allergic Inflammation DPU. During his DPhil at Oxford Reece hopes to learn more about synthetic chemistry, and how it can be harnessed for a variety of medical purposes. Aside from chemistry he enjoys a wide range of sports, and devotes as much time as possible (and most of his money) to attending gigs and music festivals. Jos is the recipient of a University of Oxford’s Clarendon Fund Scholarship. He grew up in Pannerden a small village in the eastern part of the Netherlands. After completing his bachelor degree at the HAN university, Jos pursued a Master’s degree in chemistry at the Radboud University Nijmegen, Netherlands. During this time, he was involved in research on the chemical basis for the recognition of trimethyllysine by reader proteins, under direct supervision of Dr. Jasmin Mecinović. After completing an internship funded by the Radboud Honours Academy at the Leigh group in Manchester, Jos returned to Nijmegen to continue working in the field of chemical biology for a year. His academic interests revolve around understanding biological processes at an atomic level using organic chemistry. Outside the lab, Jos enjoys listening to music, watching series and playing video games. 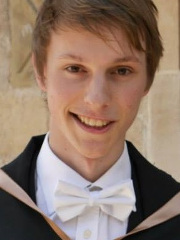 Tom is from south-east London and completed his undergraduate degree at Lady Margaret Hall, Oxford. 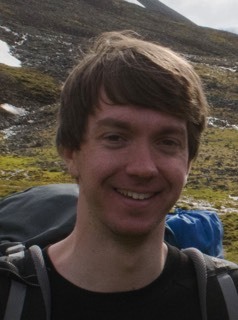 In his Part II year Tom was supervised by Professor Stephen Faulkner and worked on using a novel synthetic route to synthesise multi-lanthanide complexes to be used as ratiometric oxygen probes in optical imaging. Tom is looking forward to learning a wide array of organic chemistry throughout his DPhil with a particular focus on how it can be applied for medicinal purposes. 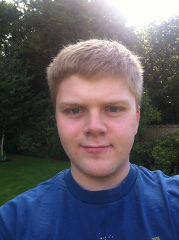 Beyond his interest in chemistry, Tom enjoys baking cakes (of the gluten free variety), Formula 1, pub quizzes and gigs. Nada obtained an MSci degree in Pharmaceutical Chemistry from Queen Mary University of London. She was more than privileged to have worked for Dr Christopher R. Jones during two consecutive summer projects and her final masters project; all harnessing the reactivity of Arynes for novel methodologies. Away from the lab, Nada enjoys traveling, cycling and music. Mustafa graduated from Queen Mary, University of London, with a first-class honours MSci Pharmaceutical Chemistry degree. Mustafa completed a 12-month industrial placement at GlaxoSmithKline, Stevenage, working as a medicinal chemist in the Allergic Inflammation DPU. He then carried out his Master’s research project under the supervision of Dr Peter Wyatt, focussing on synthesising novel agonists for the Hedgehog Signalling Pathway. Mustafa’s future aspiration is to be a medicinal chemist, conducting research either in industry or academia. Outside of academia, he enjoys playing sports, backpacking, meeting up with friends and playing piano. 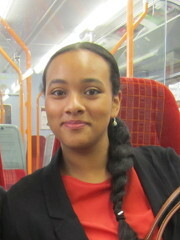 Ritrashree is the recipient of a University of Oxford’s Clarendon Fund Scholarship. Originally from Kolkata, India, she obtained a BSc Honours degree from the University of Calcutta and a MSc degree from the Indian Institute of Technology Kharagpur. Her Master’s thesis project under supervision of Prof. Dipakranjan Mal was focussed on synthetic studies of carbazole-1,4-quinones. 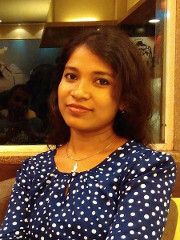 Ritashree’s research interests lie in the development of new synthetic methods and total synthesis of biologically active and structurally complex natural products. Apart from learning new chemistry, she enjoys listening to music and loves to dance. Nick graduated with a MSci and BA in Natural Sciences from Christ's College, Cambridge in summer 2015. His Part III project with Professor Matthew Gaunt focused on a novel total synthesis of amathaspiramide B, utilising palladium catalysed C-H activation. His research interests include the development of new synthetic methods, asymmetric catalysis and cascade reactions. Outside of work, Nick enjoys playing rugby, pub quizzes and video games in his spare time. 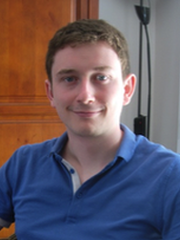 Robert is the recipient of the Oxford-Radcliffe SBM CDT Scholarship 2015. He is originally from Barnet, North London and studied Natural Sciences at Pembroke College, Cambridge. Robert’s previous research experience has been largely focused on developing new catalytic methods, but in future he hopes to also engage in biological and total synthesis projects. Robert worked with Dr. Chris Cordier at Imperial College London developing a copper-catalysed Diels–Alder reaction. Whilst at Caltech, he worked on very promising nickel-catalysed reductive cross-coupling reactions with Prof. Sarah Reisman. During his MSci at Cambridge, Robert’s part III project was with Prof. David Spring developing enantioselective phosphine catalysts for the production of anti-breast cancer scaffolds. When not in the lab, he enjoys dealing in antiques, reading early printed books and the quizzing circuit. Amy graduated with a first-class MChem degree from the University of York, of which she spent her final year at F. Hoffmann-La Roche in Switzerland. During her time in Switzerland she worked on the development of small molecules for neuroscience. Amy also carried out an EPSRC sponsored project at her home institution where she worked on the synthesis of a triscatecholate siderophore mimic. Her research interests lie in total synthesis, especially of pharmaceutically relevant compounds, and upon completion of her DPhil Amy hopes to pursue a career in the pharmaceutical industry. Away from the lab Amy enjoys baking, slacklining and running. 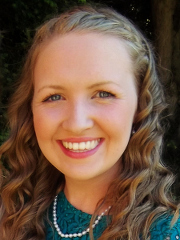 Originally from Sheffield, Claire completed her MChem degree at the University of Warwick, where she spent her final year working with Dr David Fox on the use of NMR for the stereochemical assignment of isoleucine residues in peptides. 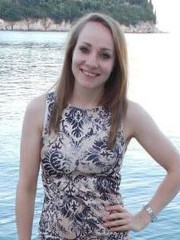 During her degree, Claire also completed a URSS summer project in the group of Professor Mike Shipman on oxetane containing peptidomimetics for drug discovery. Claire also spent a week at GlaxoSmithKline on their Residential Chemistry Training Experience. Her main interests lie in the development of new methods for organic synthesis, and their application to total synthesis and drug discovery. Outside of the lab, Claire is a health and fitness enthusiast and competes in track and field athletics, so can probably be found in the gym or at the track. Other loves include musical theatre, cooking, and outdoor activities such as camping and hill walking. Peter graduated with an MSci from the University of Glasgow. In his final year, Peter worked on designing a synthesis for the marine polyether Tamulamide B. 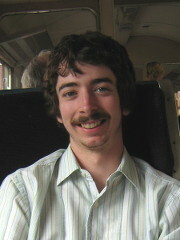 As part of his degree, Peter carried out a 12 month work placement at Redx Oncology in Liverpool. His research interests focus mainly on the synthesis of natural products, which he hopes to work on during his DPhil, and afterwards in a career in academia. Outside of the lab, Peter enjoys reading, watching movies, as well as eating (and then attempting to run off!) good food. Qian Wen was born and bred in the little sunny island of Singapore. Qian Wen graduated with a Bachelor's degree from Imperial College London, where she worked on Dynamic Kinetic Resolution under Professor Alan Spivey for my Final Year Project. She subsequently spent a year constructing amphiphilic films in the Institute of Materials Research Engineering (IMRE) in A*STAR, Singapore. 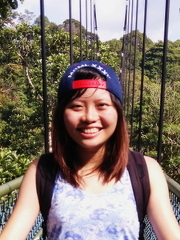 Outside of Chemistry, Qian Wen enjoys traveling and exploring new places, listening to music, reading and running. Felix graduated from a double-degree programme with a Diplôme d’ingénieur from the ENSC Rennes and a M.Sc. degree from the Technische Universität Dresden. During his studies, Felix had the opportunity to broaden his academic knowledge through research projects at BASF and IPF Dresden. Intrigued by the power of organic chemistry, he completed his master’s thesis on the synthesis of clerodane diterpenoids, under the supervision of Professor Peter Metz. His research interests include total synthesis, cascade reactions and organocatalysis. In his spare time, Felix enjoys playing volleyball, ballroom dancing and playing the guitar. He is also an avid student of foreign languages.